Oh man, how did Xenu sneak back in here? 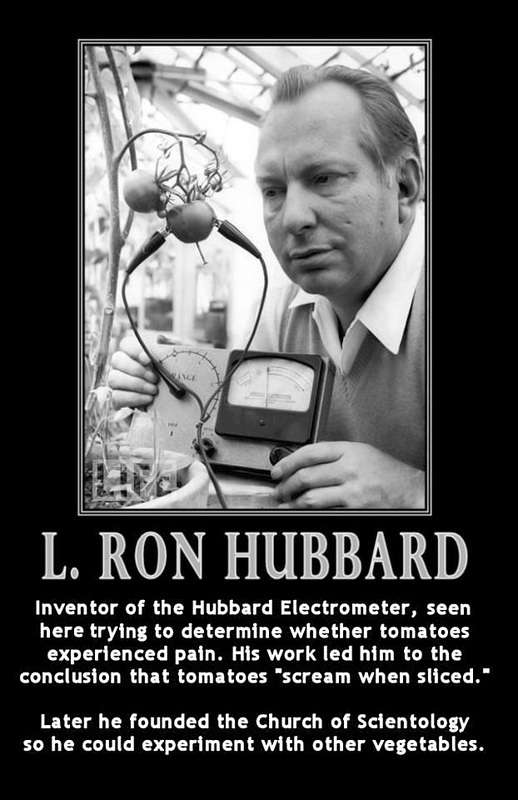 If you’ve been following us for a while, you know that we aren’t fans of the Scientologists. There’s been so much information from former members, and family of members, that show that this organization is no bueno. Way back in 2015, they bought a piece of property near Thurmont on which they wanted to open a Narconon facility to treat drug addicts. ( You can read our stories from that time period here.) The problem? They have no idea what they are doing. In fact, these facilities are dangerous and have been shut down in other jurisdictions. The story in today’s Frederick News Post also talks about the 4 deaths in 200 bed facility since 2009. 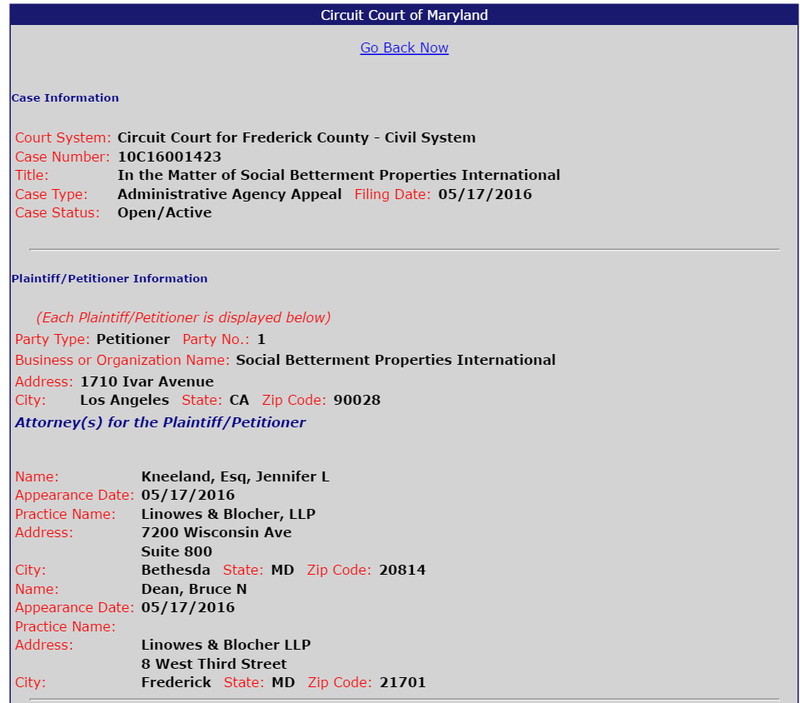 We checked case search every now and again, and kept seeing that the Scientologists were given extension after extension and extension. This week some compromise was met that will allow them to have an 8 bed facility. Why even bother? Hopefully they won’t be able to sucker 8 people, who are desperate and therefore very vulnerable to this kind of thing, into their “facility”. Sure we have a huge opioid problem in our county, but sticking people in saunas isn’t the answer to it. 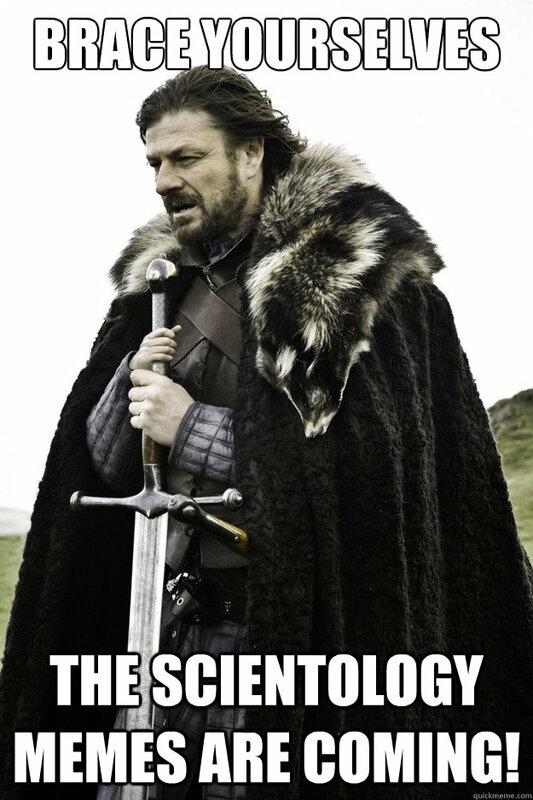 It’s time for another Xenu update. Doesn’t seem like this is going to end any time soon. We’ll keep you posted. 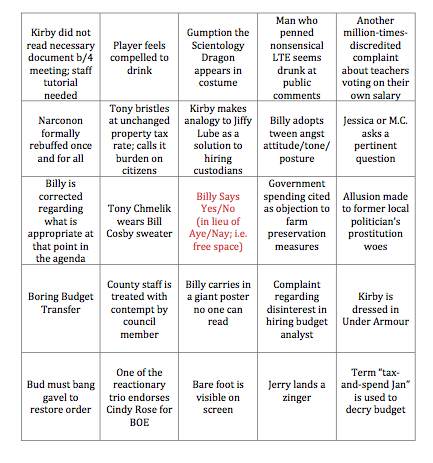 Billy says his world is great, and has Kirby been audited? Your April 19th roundup-Part 1! Thank Zeus on his high mountain that tonight’s meeting has been divided into two parts! We need the break! Now on to our fine reporting. Billy’s no where to be found, ran in late. So Kirby had the sole job of objecting to budget transfers. His issue? We have no proof that the bay can be saved by trees and stuff. We’ve heard this before. Science isn’t his thing. Passes and we moved on. Installment Purchase Program Easements get no objections. Even talk to what a fine program it is. Protecting our agricultural land! It seems like the budget season gets the tempers a flarin’! We are going to go back to our budget posts of a year ago to see how much of the rhetoric is the same. We predict A LOT. Tony, Billy and Kirby want the constant yield to be called a tax raise, all M.C. wants to do is take a vote to have a hearing on this issue so the public can discuss. How dare she interrupt their grandstanding? 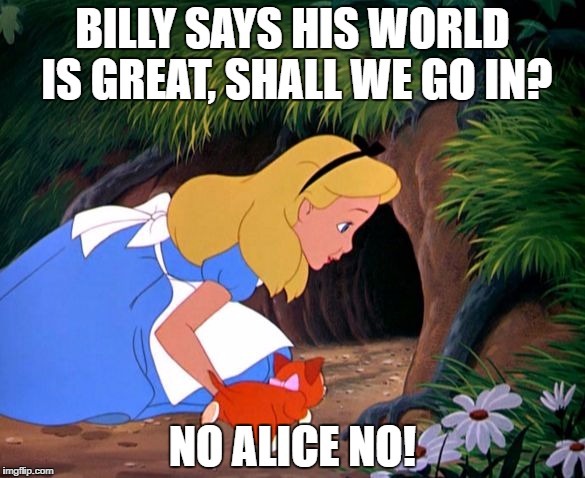 Billy informs us that we should all come into his world, it’s nice there he says. The hearing will be on May 3 for those of you who are interested. Now, fellow Yokels, in all seriousness we are concerned about Kirby. Has he been audited? 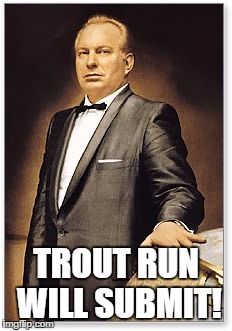 Because we remember commending him for voting against the Trout Run historical designation way back when. 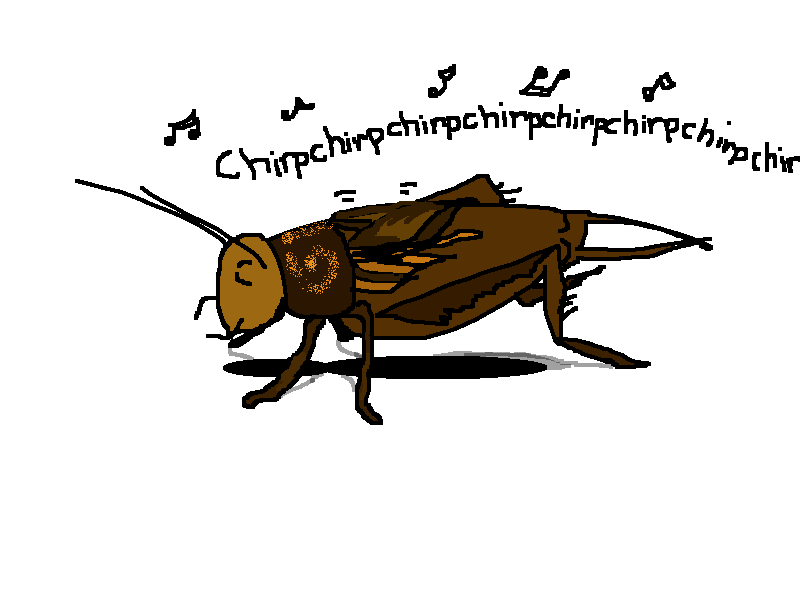 But tonight he’s singing a different tune. When the resolution, which is essentially the answer to Social Betterment’s lawsuit, was presented he voted no. No explanation just no. Billy wanted to know if he really had to vote for it at all since he was the lone wolf on the original vote, to which he was informed he in fact did. 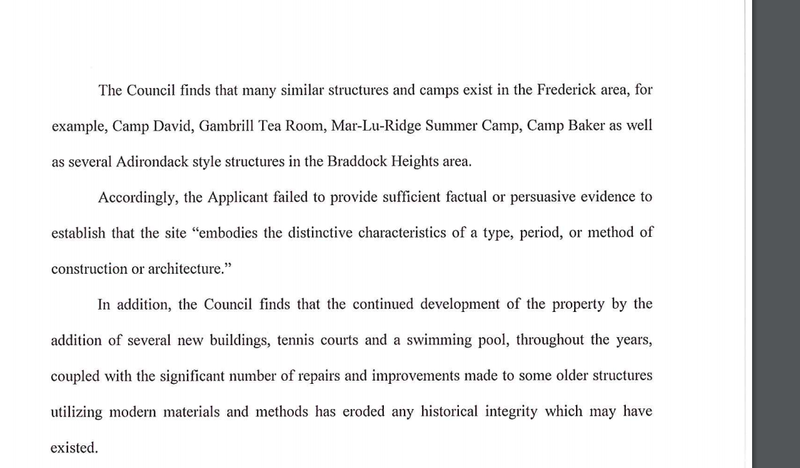 We end with a nice presentation on a Maryland Development Block Grant. Meeting reconvenes at 7:00 for a public hearing on the budget. We thought we’d mix it up a little this week. Here’s your agenda. In case you do feel compelled to drink at any point, we’ll recommend you toss back an Alien Secretion and encourage Xenu to scamper on outta here. Click on image to open in a separate tab for printing! 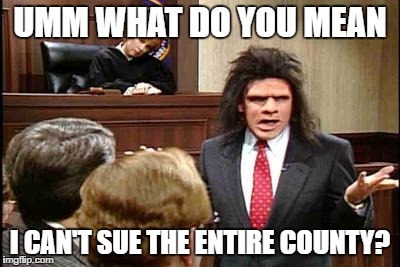 La la loopsy Xenu’s lawyer made an oopsie! 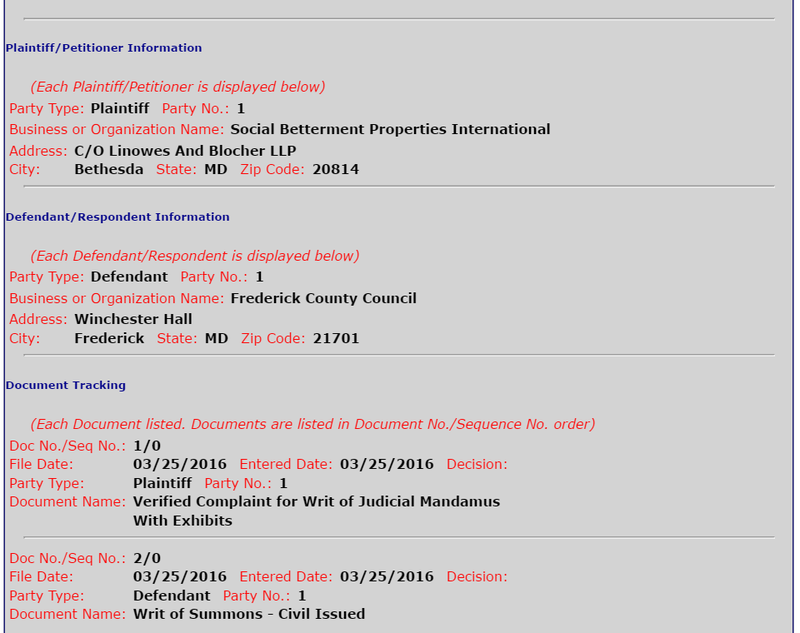 Loyal readers are aware that Xenu’s lawyer’s have filed a lawsuit against the entire county. That’s right folks the whole county! 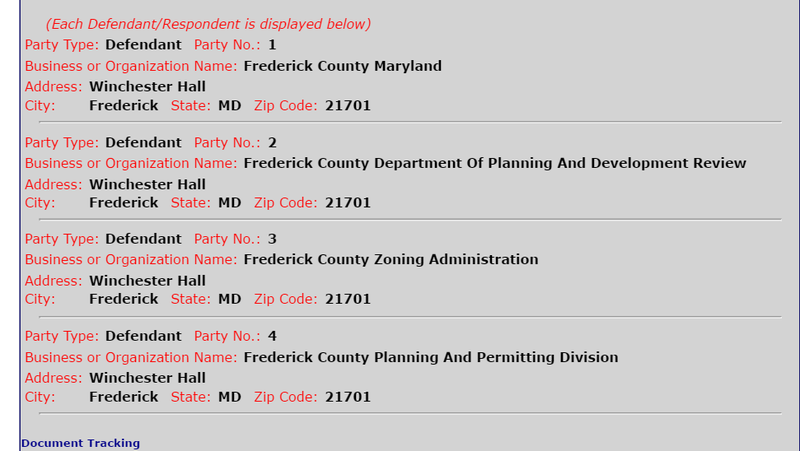 Well, it appears that maybe a mistake was made because on the 25th they filed another suit and made sure that this time they spelled out The Frederick County Council. 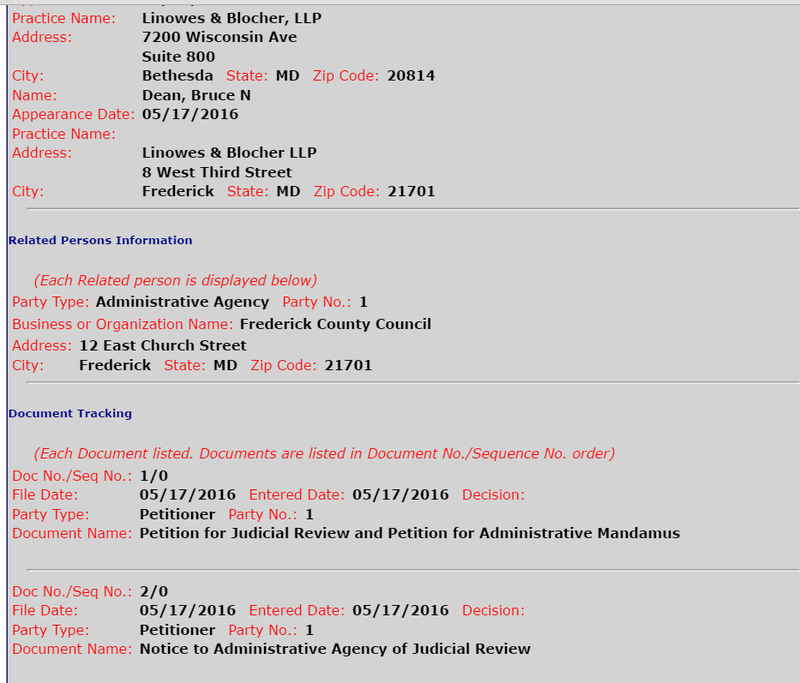 So who exactly is doing Xenu’s lawyering? What the heck is even going on? 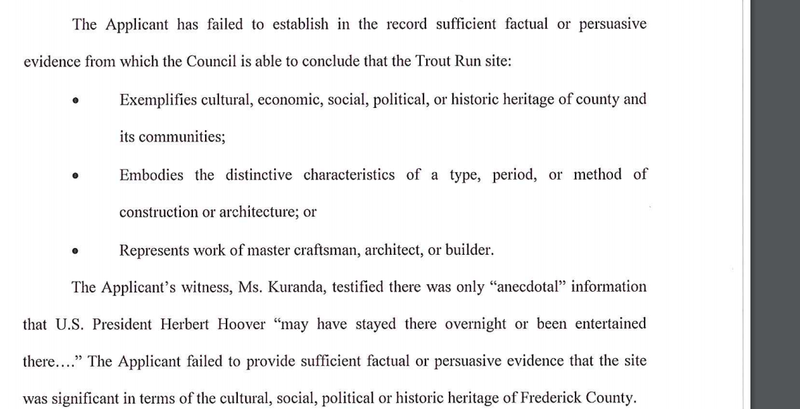 A judge has remanded another frustrating thing back to the Frederick County Council, saying that they did not explain the reason for their vote that kept Trout Run from receiving a historic designation. (Umm…they said it wasn’t a special piece of local history?) Nobody apparently told Judge William R. Nicklas, Jr. about the shall versus may voodoo. Maybe the people who have since trotted that line out with regard to other issues should use the argument more conservatively. If only it were this easy to erase, start over, forget these cretins. What all this means is…Well, we don’t know for sure. The Underground Bunker has expressed the matter concisely. Judge William R. Nicklas Jr held a hearing earlier this month, and then this week came out with a ruling that seems to have confused nearly everyone. 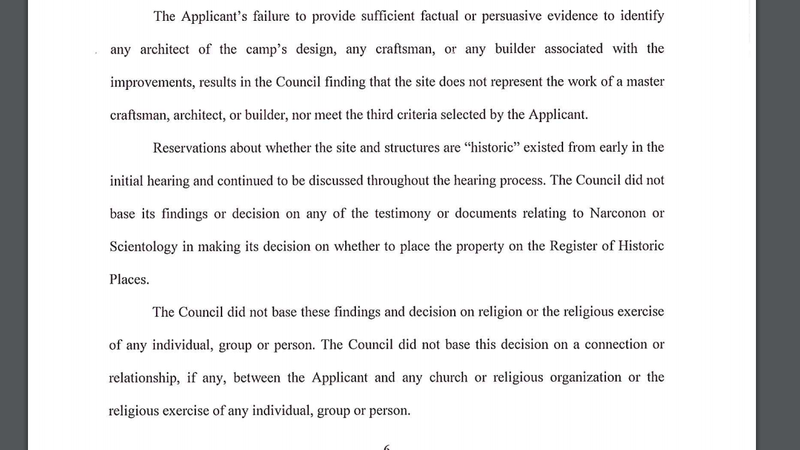 Researcher Mary McConnell declared that it was good for the county council, the local NBC station announced that it was a clear win for Scientology, and even more expert local observers don’t really explain whether this is good for one side or the other. But maybe we will get Billy Shreve on Kojo Nnamdi’s show again, feverishly defending the need to have these exploitative, abusive whackadoodles run a campground for drug addicts to spend all day reading Dianetics and dehydrating in a sauna up in the northern reaches of Frederick County. What in the great and bizarre-o Milky Way Galaxy is driving his advocacy of this deadly nonsense?